One of the substances that we have vast experience helping clients detox from is methamphetamine. 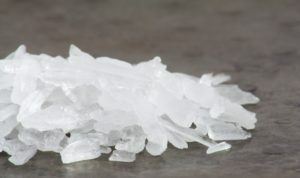 Meth falls into the category of stimulants, or drugs that raise levels of physiological or nervous activity in the body. Unlike with alcohol or other drugs, detoxing from meth is not lethal. However, there are other complications, including extremely high cravings for meth while the individual is detoxing which lead to high relapse rates. Methamphetamine detox is often an unpleasant and difficult experience. At ReAlign Detox, we do everything we can to ensure the comfort of our patients and increase their chances of abstaining from meth for good. Our trained doctors have years of experience using medically-assisted treatment to help our clients’ detox experience more comfortable and effective. We understand the difficulties that our clients face as they embark on the road to recovery from a meth addiction and we know how to help them through every step of the way, providing them with a professional and effective detoxing experience that will serve as a firm foundation for the rest of their recovery. The intense cravings for meth coupled with the psychological and physiological lows that the user experiences as they attempt to abstain from it make it very difficult for people who are addicted to meth to overcome their addiction. Meth detox is difficult and uncomfortable and should never be attempted alone. Not only can detoxing from meth be dangerous, but it stands little chance of success unless supervised and directed by qualified professionals. At ReAlign Detox, we have years of experience successfully helping our clients detox from meth in a comfortable and effective way. If you or a loved one is suffering from a dependency on meth, please get the professional help you need. Come to ReAlign Detox and let us help you.